CCTV monitoring to which trained professionals keep a watchful eye over your property. 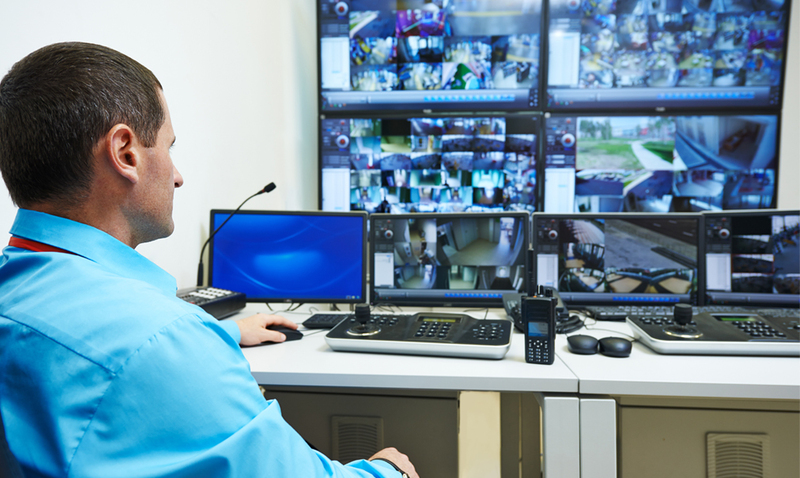 A greater level of site management and security is now possible through remote monitoring by combining CCTV cameras with audio speakers and detection; an alarm will alert a monitoring station to view a live incident if necessary the operator can issue an audio challenge warning of prospective intruders. This is an increasingly popular option for companies requiring 24 hour security or larger companies that use security guards and who are looking to reduce labour costs by implementing remote monitoring.